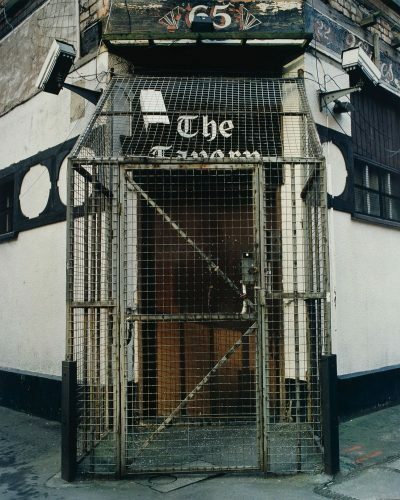 ‘Gate’ is part of a series of photographic works by Paul Seawright portraying symbols of boundary and barrier in urban Northern Ireland. The gates both protect and exclude, beyond there is unknown territory, both spatially and symbolically. 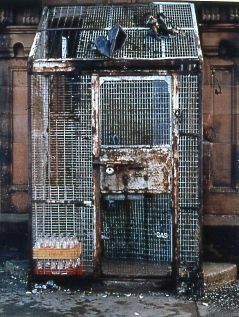 The shape of the rusted gate also mirrors a powerful symbol of unionism, The Union Jack.